A Doll for Throwing takes its title from the Bauhaus artist Alma Siedhoff-Buscher’s Wurfpuppe, a flexible and durable woven doll that, if thrown, would land with grace. A ventriloquist is also said to “throw” her voice into a doll that rests on the knee. 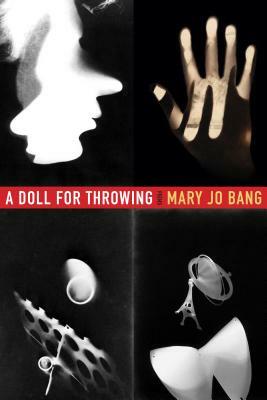 Mary Jo Bang’s prose poems in this fascinating book create a speaker who had been a part of the Bauhaus school in Germany a century ago and who had also seen the school’s collapse when it was shut by the Nazis in 1933. Since this speaker is not a person but only a construct, she is also equally alive in the present and gives voice to the conditions of both time periods: nostalgia, xenophobia, and political extremism. The life of the Bauhaus photographer Lucia Moholy echoes across these poems—the end of her marriage, the loss of her negatives, and her effort to continue to make work and be known for having made it. Mary Jo Bang has published seven poetry collections, including The Last Two Seconds; Elegy, winner of the National Book Critics Circle Award; and an acclaimed translation of Dante’s Inferno. She teaches at Washington University in Saint Louis.